Check out the SaladBox website for the latest goodies! 1. Camaru Naturals Bamboo Charcoal Clarifying Soap (P150/135g) - This, in my opinion, is the best product to try out among the four. Camaru has replaced the plastic packaging with an attractive paper wrap this time (which I love!). 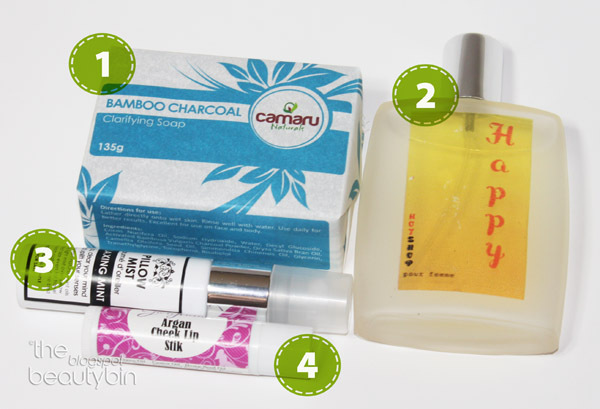 Check out my in-depth review of the Camaru Bamboo Charcoal Soap. I highly recommend this product as it worked well for me! 2. Hot Shop Pour Femme Perfume in Happy (P400/50mL) - You might remember that I was very eager to check this product out because of the wonderful scent it gave the entire box. This is a sweet and fresh scent best worn on casual days. I am disappointed though that it seems that this scent smells better sprayed on paper than on the skin. The scent lasted barely two hours on me. Won't recommend. 3. BC Fragrance Pillow Mist in Relaxing Mint (P150/60mL) - I loved this more than Hot Shop's perfume. When I opened the box, I really didn't think I'd love this, but the minty and refreshing scent it left my pillow and sheets was just pure love! Will recommend! 4. 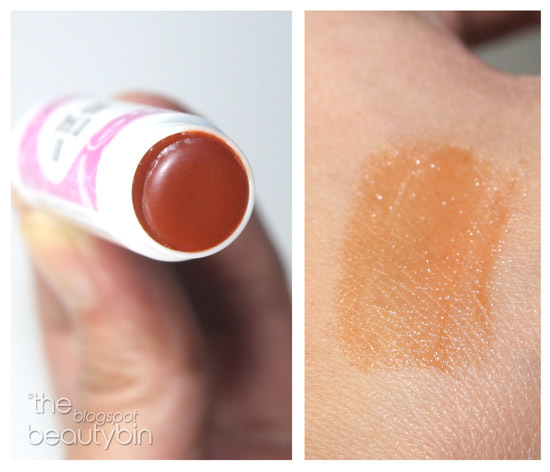 Natura Cosmetics Gorgeous Argan Cheek and Lip Stik (P150/10g) - It's more of a lip balm than a lip & cheek tint --- I find it's too tacky to be on the cheeks! The color is a disappointing beatdine-ish pigment, however, the creamy smoothness it leaves my lips makes up for it. I don't think I'll recommend this. Overall, the September Saladbox Press kit did not meet my expectations. It's really a bit sad because this is the first subscription box I have received. I did like BC Fragrance's Pillow Mist in Relaxing Mint and Camaru's Bamboo Charcoal soap though. I do hope the Saladbox improves in the next few boxes to come. Hopefully next month's box will be more to your liking. :) Saladbox. Love that name! Of the local beauty boxes I've seen, the BDJbox seems to be the best choice. Yeah me too! I quite didn't like the samples that I received. Quite expensive for a few samples. I think BDJ box is much better and a bit cheaper. The items look really cheap. Like, department store cheap. I received my December Saladbox today. It didn't meet my expectations either. Only the Carmex lip balm is good. And a bunch of vouchers :( I don't think the 500 is worth it. The BDJ box is definitely much better. What's Inside My First SaladBox?